Where the Mall shopping centre in Sutton now stands there used to be a large pool, which was the reservoir for the town watermill. It extended beyond Brassington Avenue, and the water was held back by a dam from Manor Road to the bottom of Mill Street. The dam was wide enough to carry the highway from Maney to Sutton across the valley floor. In the eighteenth century the mill was abandoned and the pool was drained, but the causeway carrying the road was maintained, and raised on a higher embankment at the Sutton end. This stretch of road was known as “The Dam”, and the roadside where the pool had been remained undeveloped for many years. The land on that side of the road was part of the Somerville Estate, and in 1869, to encourage development, it became the subject of a 94-year lease. New building began at the Mill Street end, with the Museum public house which opened in 1870. This was followed by a few shops, and by 1879 there was a little parade of shops, which inspired one enterprising tradesman to advertise his premises as not being on “The Dam”, but on “The Parade”. 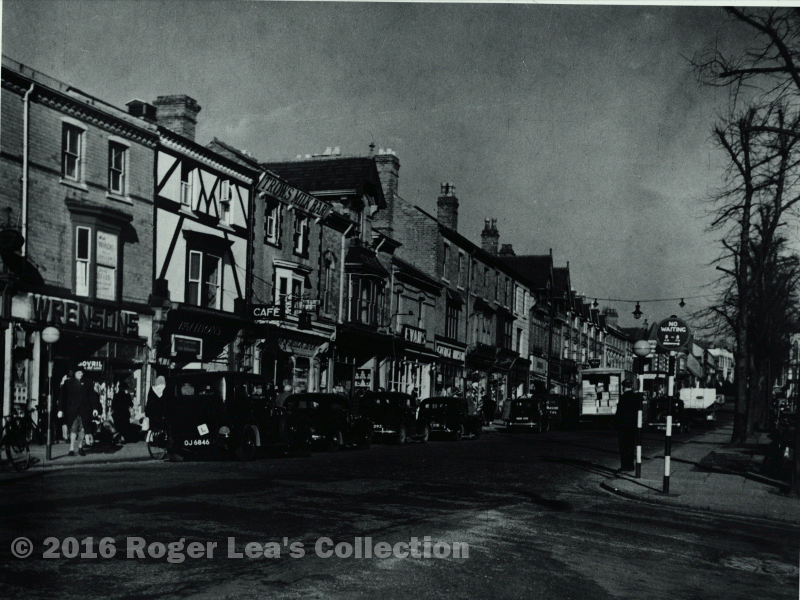 The new name stuck, and building of new shops continued apace until by 1910 the whole of The Parade up to Manor Road was developed, the 65 buildings being numbered 2-130. The shops included living accommodation for the shopkeeper’s family. The shop occupied the ground floor at street level, while the basement housed the kitchen, scullery and dining room, with French windows opening onto a yard, ground level at the back being much lower than street level. There would be a drawing room behind the shop, or maybe on the first floor, with bedrooms above. At first development was piecemeal in lots of one or two shops at a time, with different architects, but in the 1900s larger developments with blocks of four or six were more usual. This variety of styles was reflected in the variety of goods on sale - dress shops, ironmongers, fancy goods, cafés, book shops, newsagents, haberdashers, even a tripe shop. The Parade shops flourished until, by the 1960s, with the lease due to expire, redevelopment of the site with a modern shopping centre was in prospect. The last of the even-numbered Parade shops closed down in 1974. (Based on research by the late Marian Frankling and Norman Evans).